The latest rumor regarding AMD claims that the company has already pulled the proverbial plug on the production run for their budget-minded Phenom II X2 and X4 processors. The rumor comes courtesy of Kitguru who claims to have heard “something very interesting about AMD’s traditional CPU lines”, although at the end of the article the author hints that the rumor could possibly be self-generated. Valid or not, the story brings up some very good points about the present and future of AMD’s processor lineup. It’s extremely likely that AMD has plenty of X2 and X4 processors in inventory and the same can be said for outlets across the globe. Odds are also high that AMD could indeed halt production on these lines today and still have enough stock to feed demand and cover warranty claims. Moving production away from these aging pieces of silicon would free up resources that could be used to manufacture next generation Fusion and Bulldozer CPUs. It's worth noting that this jives with inside sources cited by DigiTimes in late June. At the time, it was reported that Athlon II chips would drop from 70% of AMD's total processor shipments in the second quarter to 40% in the third, 30% in the fourth and the series would be retracted by early 2012. Various Phenom II chips were pegged for a similar fate with X2, X4 and X6 parts expected to disappar over the next six to eight months. AMD Fusion APUs have been in production since 2006 when the company acquired ATI. AMD released the Brazos mobile solution in February and followed it up with Llano in June. The 8-core Bulldozer-based FX-8130P has already been publically benchmarked last month. In general, performance seems better than Intel's top Sandy Bridge offering. Early indications point to a September 19 release date for the new FX-series processors. 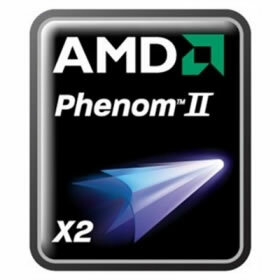 Socket AM2+ Phenom II chips have been in circulation since December 2008 with Socket AM3 chips finding their way to market in February 2009.